The construction of the new traffic island on Summer Street will begin on Tuesday, October 9, weather dependent. This will create a new traffic pattern at the intersection of Maple Street and Summer Street. All traffic traveling southbound on Summer Street that wishes to take a left onto Maple Street MUST stay to the left of the island. All traffic to the right side of the new island will ONLY be allowed to turn right onto Maple Street. The contractor shall install temporary signage, temporary line striping, and construction barrels to aid in the direction of the proposed traffic flow. 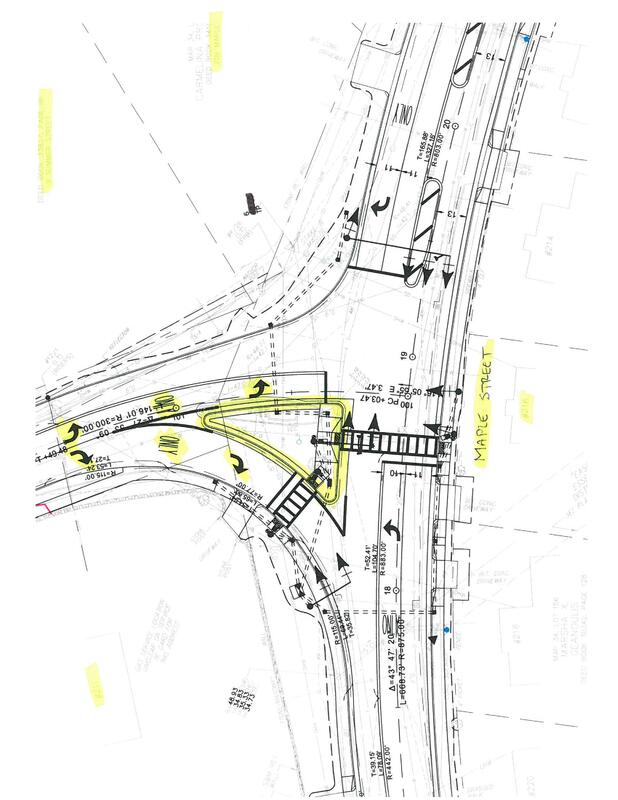 The contractor will work closely with the Police Department daily, to determine the best possible ways to get traffic through the intersection during working hours. If detours are necessary, there will be notification to the public via the Town’s website. For more information, or should you have any questions or concerns regarding this work please contact the Engineering Division at 978-777-2668 x3619 or by email at erichard@danversma.gov. Thank you for your cooperation and assistance during the Maple Street at Summer Street Intersection Improvement Project.